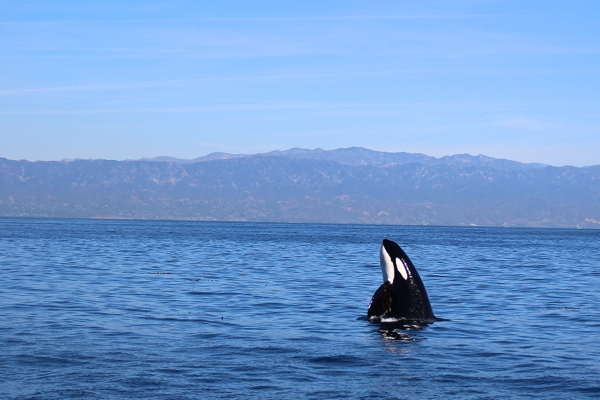 Today, Waits and I went whale watching with my dad, my brother, and my brother’s family. I knew it would be really fun for Waits, and I’ve been writing a series here on the blog about why vegans don’t go to zoos (here and here). 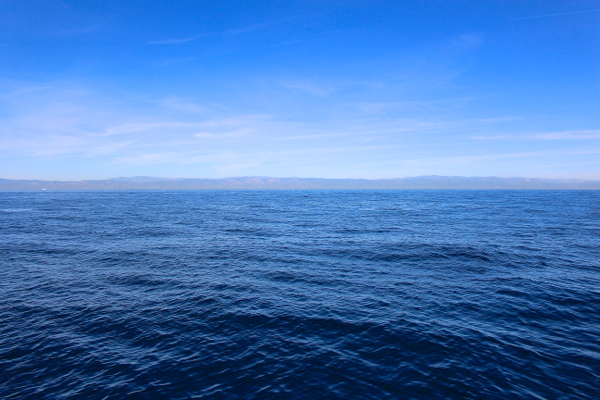 So I figured I’d snap a few pics if we saw any whales (I never see any! bad luck I guess), and maybe I could use them in the future when I write about zoo alternatives. My dad took this pic as we were leaving the harbor. I Instagrammed it with an off-the-cuff quip about “boycotting Sea World” and “going straight to the source”, yadda yadda, ha ha. 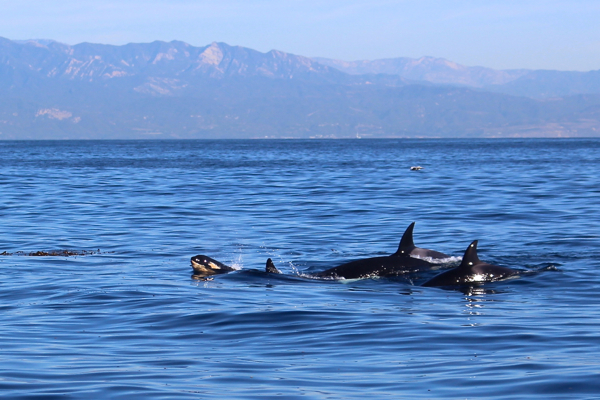 I’ve gone whale watching off the coast of Santa Barbara many times before, and I’ve rarely ever seen whales. I didn’t even know that Orcas migrate through our channel. 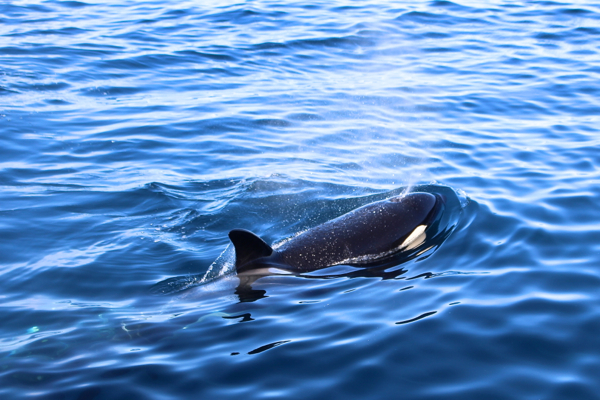 Today, for over an hour, we sat in the middle of a still ocean and watched this pod of Orcas. They spouted and jumped, breaching and playing in the tangled kelp beds. They were curious, and came right up to the boat to check us out. They were incredible. It’s really hard for me to put into words what I saw out there today. At times I felt overcome in the presence of such majesty. I don’t know that I’ve experienced that before. These are impossibly beautiful animals. It was emotional, and I felt reverent. I was inspired to share these photos with you. I don’t know much, but I know with all of my heart that these incredible animals do NOT belong in tanks, living for human entertainment. Have you seen the film Blackfish? It’s a documentary about captive Orcas at Sea World, and it’s so well done. So powerful. Also, it’s free on Netflix! In honor of what I saw today, I’m going to be watching Blackfish again tonight. I hope you’ll consider watching it too. What a beautiful experience! This is truly the ONLY way people should witness and learn about any animal – in their natural habitat! Oh man, I watched Blackfish about a month ago when I first heard about it. Wow. I was floored. What an incredibly moving, touching film. I always knew Seaworld was no good, but I didn’t realize by how much. I’ve been recommending it everyone. Wow. I am so jealous! That is so awesome, especially for Waits. I’ve only heard about Blackfish, but now I’m thinking I need to watch it. Such beautiful photos! It looks as though you had an amazing time. Whale watching is up very high on my wish list of things to do one day, and this totally reminds me why. A zoo or “sea park” experience couldn’t dream of coming even close to this. Beautiful photos! “Blackfish” is an amazing and powerful film!! We saw it on the big screen and it just breaks your heart. YES! You know it strikes me, there’s no, like, “Sea World Denver” or “Sea World Memphis”. These places are all in COASTAL cities already – San Diego, Florida, etc. So it’s not even about bringing these animals to non-coastal cities. It’s for the tourists who come to the coast. Which means – they could all JUST GO WHALE WATCHING in nature. Bah! I agree about Sea World – I knew it was bad but never realized how bad. 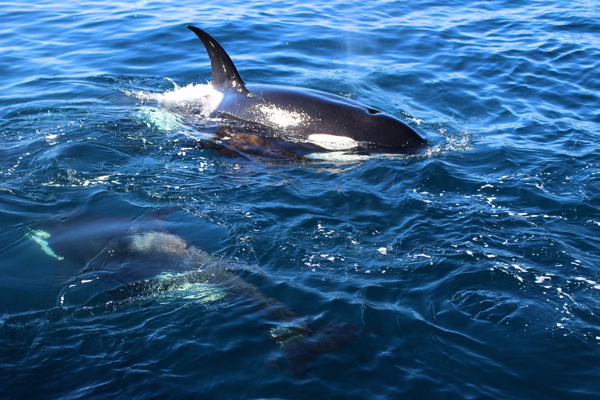 I also loved learning about Orcas in general, the stuff about their social nature, family structure, and emotional brain development was especially interesting – and heartbreaking. You should watch it Courtney! It’s worth it, so amazing. I hope you do get to do it one day Imogen. It’s breathtaking. I watched the trailer for Blackfish and while I think it would be amazing to watch, I don’t think I’d be able to stomach it. I’m terribly (honestly – to a fault) soft hearted and even the trailer had be sobbing. As others have said, I think the way you experienced these amazing animals is the way to do it – in their natural setting. I feel the same way even with something as mundane as Whitetail Deer. I grew up on a nature conservancy and we had all manner of deer, elk, bears, moose and the like wandering through our yard on a daily basis, and I got to witness them in their natural state. Seeing them in the zoo makes me physically ill. I think I would have held my breath the entire time. How absolutely amazing! 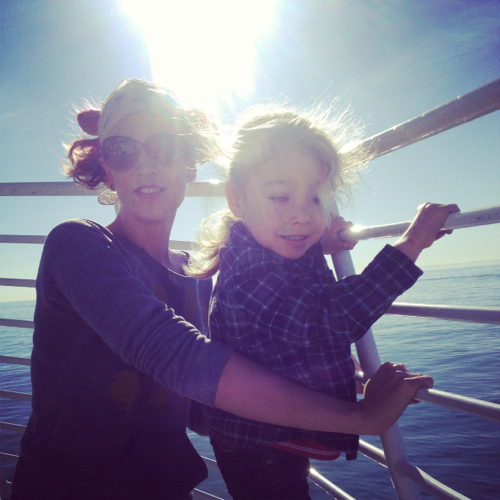 Now whale watching is on my list of must-do’s with the toddler. Thank you for sharing! PS Thank you for your book. 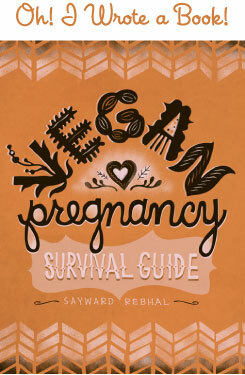 It got me through one hell of a pregnancy! I am a forever fan. Happy New Year! I was inspired to watch Blackfish last night after seeing your pictures on instagram. I was beyond moved and could not agree more that animals do not belong in captivity for human enjoyment. Such a well made film that really captured the beauty of these mammals. Gorgeous, gorgeous photos. It’s a dream of mine to see whales like this in their natural environment. Thank you for sharing. There is a sea world in San Antonio,TX that’s a good 6 hours from the Gulf of Mexico…definitely no whale watching there. That’s the sea world people from Denver and Memphis go to (true story I used to work there). I would never go to sea world again (didn’t need a documentary to convince me of that), but the makers of blackfish failed to mention all the animal rescue work sea world funds or organizes. Also, they could function fine without the animal exhibits but a lot of the animals in the small animal exhibits are unable to be returned to the wild because of prior injuries. I would love to see sea world eliminate its animal exhibits but continue its rescue work, rides, and water parks. Something else that irks me quite a bit…cows and horses kill way more people than whales! Especially horses, where’s our stop riding horses for competitions and pleasure documentary? Just trying to keep things in perspective since I know a lot of people who work for sea world and it really helped boost the economy in a formally bad area of San Antonio. I would guesstimate less than 20% of sea world employees work even remotely close to the animals. Oh wow, I had no idea! Thanks for the heads up, that’s interesting. Do you know if there are other inland Sea Worlds or similar parks? Anyway, I agree with you (and think most would agree) that there’s nothing wrong with a water park that does rescue work. I would love it if thats what Sea World did. Water slides and sea life education! Wow!!! What an incredible experience. Your photos and thoughts gave me goosebumps! Happy New Year Sayward. Thanks so much for this post. These pictures are incredible! Truly majestic. I hadn’t seen Blackfish and watched it last night. One thing that really struck me was how earnest the trainers were and how they genuinely loved and cared for those animals and treasured the relationships they built with them. They were young and naive and were deceived by people they trusted. Not only were so many whales hurt and tortured, but those trainers now bear the guilt of that burden. Thanks for sharing. There is no way something so majestic and beautiful belongs in captivity. Here in Canada, we boycott Marineland. can i ask you, though? 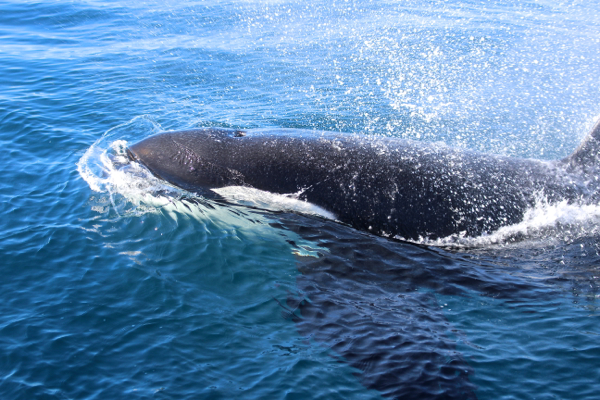 do you really think whale watching is enviromentally friendly and respectful of animals? 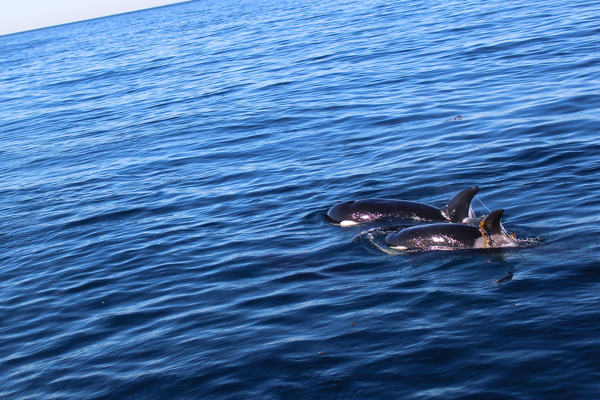 we went to see the dolphins the other day… they were amazing, they really made an impact on our kids. but i wondered, was is it really respectufl to the beautiful dolphins? dont you think the boat and the noise and the pollution hurts them? After reading this I went straight to Netflix and watched Blackfish….I don’t think I’ve ever really cried during a movie before this one! Safe to say I will not be taking my little one to Sea World anytime soon and hopefully will raise him to respect and Love nature/animals as they are meant to be, free in their own environment!! P.S. Your pics above are amazing! !